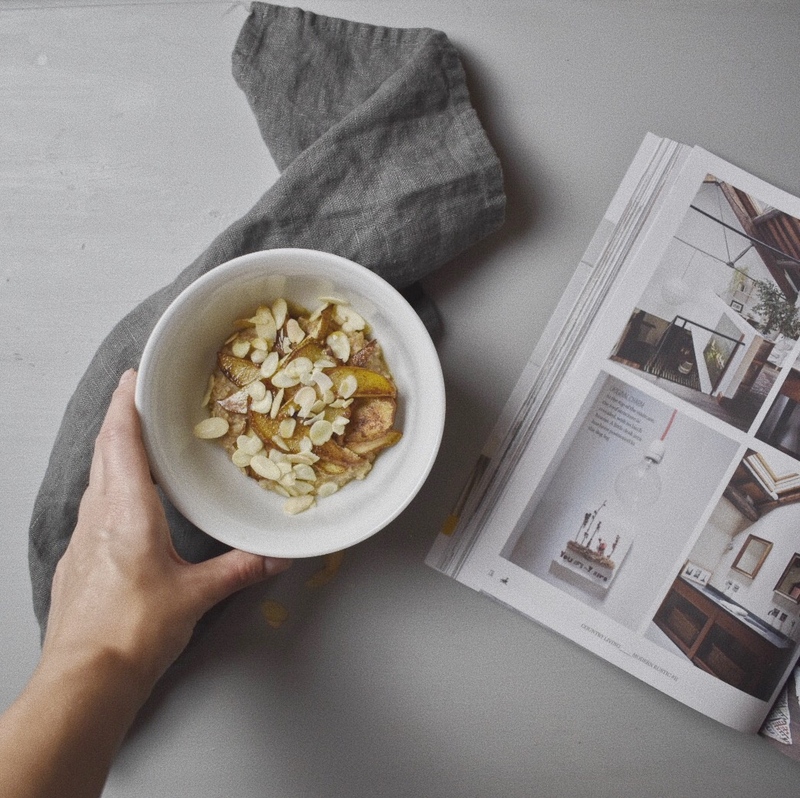 Morning Rituals from Female Founders | Slow Living LDN. Over the past few years an increasing number of articles have surfaced around the morning rituals of inspirational and successful people. When we use the words ‘morning rituals’, we’re describing a set of actions that someone performs every morning that have been prescribed additional meaning. The writing around morning rituals often makes big claims: adopting them could be ‘life-changing’ and lead to happier, more productive days. But, in reality, we’re all different and we’re not all natural early-risers. Having said that, habits can be formed. In interview with The Washington Post, Christine Whelan, a public sociologist at the University of Wisconsin-Madison, gives advice on forming and sticking to a new habit. She advises to make one change at a time – listing everything you want to do differently and trying to tackle it all at once is, in her words, “a recipe for failure“. Whelan also advises that resolutions should be specific and measurable – a commitment to being a happier person is extremely tricky to measure. Similarly, she also highlights that the change you are trying to make must be something you want to do, not something you feel you ought to do. So, before adopting (or failing to adopt) all of the healthy habits of the world’s entrepreneurs and lifestyle gurus, ask yourself if their goals are truly in line with your own. If you’re reading this article, you’re probably interested in what else you could be doing in the morning to feel more productive or are wondering how you can start the day with your best foot forward. Perhaps you’re fed up of hitting the snooze button or scrolling through your social feeds in bed, or maybe you just want to try and exercise before work. Whatever your motivation, there’s inspiration in the idea that some of the world’s busiest people manage to adopt morning rituals that they now swear by. Here are three positive morning rituals from some of today’s most popular lifestyle gurus and female founders. After developing a limiting health condition at university and finding that medication wasn’t working, Ella Mills, founder of Deliciously Ella, eventually turned to her diet and lifestyle. She taught herself to cook and documented her plant-based experiments and recipes on her blog. Today, her community-led brand is wildly popular and boasts an app, multiple cookbooks and a deli. In essence, Ella works hard to ‘make vegetables cool’. Although Ella is now an ambassador for a plant-based diet and enjoying what you eat, she didn’t always live this way. Her story is a great example of making positive change in your own lifestyle, even when it seems like nothing will make you feel healthier. And her morning ritual? Yoga. Today, Ella swears by her morning yoga session from 6.30 a.m to 7.30 a.m. In an interview with The Cut, she explains, “No matter how I’m feeling. I find that it gives me a really good mind-set for the day and a real sense of positivity.” Before finding yoga, Ella would check emails and Instagram first thing and “…go into a vortex of stress at 6 a.m”. Sound familiar? Kikki.K is a Swedish lifestyle and stationery brand. There is a positivity that runs through the beautiful products which include journals, planners and books centred around dreams, inspiration, wellness and setting goals. Founder Kristina’s new book Your Dream Life Starts Here helps readers follow a road map towards their dream life and is accompanied by her Your Dream Life podcast which explores the stories of inspirational people who have followed their dreams, despite major life obstacles. Speaking to WGSN Insider, Kristina describes her morning ritual. She rises at 5am and has what she calls her “holy hour”. In this time, she journals. She writes down everything she is feeling and this helps her to explore any fears and risks she is experiencing. Kristina burns her papers after writing as this allows her to fully express herself and write freely, without worrying that someone else will read her thoughts at a later date. Like Deliciously Ella, Thrive Global CEO Arianna Huffington (and previous co-founder of The Huffington Post), hasn’t always lived healthy habits. In 2007, she hit her head on her desk, breaking her cheekbone, after fainting from pure exhaustion and lack of sleep. At this point, she developed an obsession with the importance of sleep and began to take her morning ritual more seriously. Now, she removes digital devices from her bedroom as she sleeps and tries to be in bed by 11pm. Speaking to My Morning Routine, Arianna summarises, “A big part of my morning ritual is about what I don’t do: when I wake up, I don’t start the day by looking at my smartphone. Instead, once I’m awake, I take a minute to breathe deeply, be grateful, and set my intention for the day.” In this sense, it’s not just about the habits you are adding to your morning ritual, it’s about those that you are taking out. From yoga to journaling, there are many habits to add to your morning ritual, and ultimately, just because these lifestyle gurus are doing these things, doesn’t make them right for the rest of us. Yet, a bit of inspiration is a good place to start! WELCOME TO SLOW LIVING LDN. A London-based lifestyle resource that explores slow living in the city. Discover London's slow spots and inspiration to live better, not faster in the capital and beyond.